Due to a busy end of the week and weekend, I didn’t get a chance to share Thursday’s lunch. The Cricket and I were out running errands after swim class and found ourselves travelling along Clark Street on Chicago’s northside. Of course, this is the same Clark Street that runs next to Wrigley Field, and we ran into all kinds of fans as we searched for lunch. We took Southport where it split off of Clark and settled on Crosby’s Kitchen at the corner of Southport and Cornelia. The kid’s menu is just smaller portions of their adult fare, so the kiddos can get some of the delicious chicken as well. Cricket opted for the grilled cheese and I also shared bites of my chicken dip sandwich. Think french dip, but with a hunk of chicken. The Cricket loved the two types of cheese on her sandwich, and the toasted bread was soft. The french bread for my sandwich was also nice and soft, with just enough crunch in the crust. The chicken was moist and flavorful, so I almost didn’t use the au jus on the side. Overall, it was a good spot to find(and they’re not even paying me to say that!). Usually I don’t like televisions around when I eat because I become a TV zombie. Given that it was the day after the Cubs won the World Series, it was nice to have some screens on over the bar. 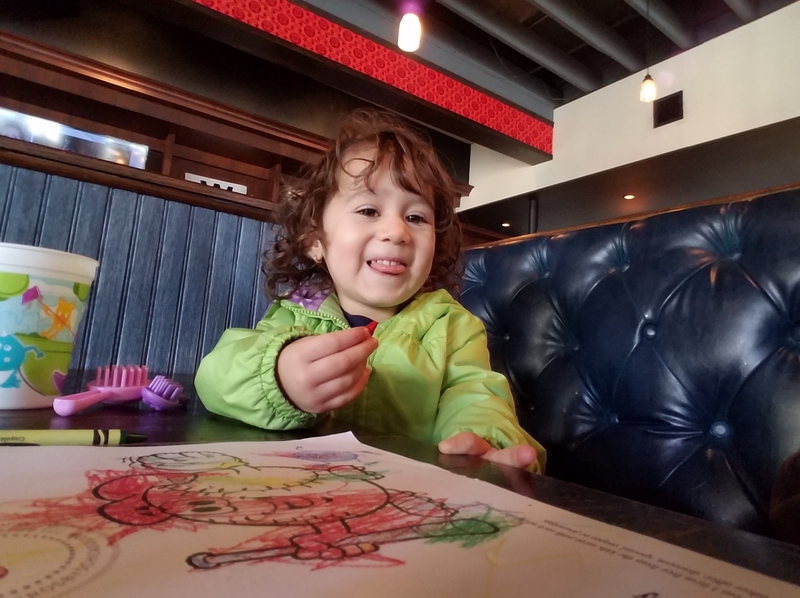 The server brought over some crayons for Cricket first thing, so she had something to do. 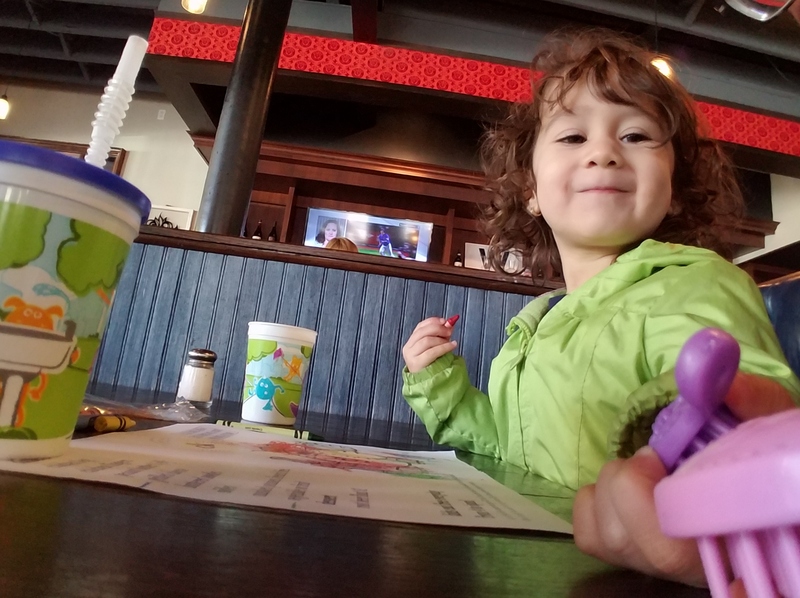 She and I were able to enjoy our lunch surrounded by adults with and without children, so I did not feel like we were ruining anyone’s lunch at any time. And we left with full, happy bellies. So I’ll throw this place in the “toolbox”, cause we’ll visit here again. I know some of you out there can compose poems about restaurants and food, but I can’t. I will say that I did leave humming Finger Lickin’ Good by the Beastie Boys. You can check out Crosby’s Kitchen at 3455 N Southport here in Chicago.